Home › Uncategorized › Do the Words “Change Process” Make You Gag? Do the Words “Change Process” Make You Gag? So much corporate jargon turns me off as it just seems to complicate things. “Change Process” is one of those terms. 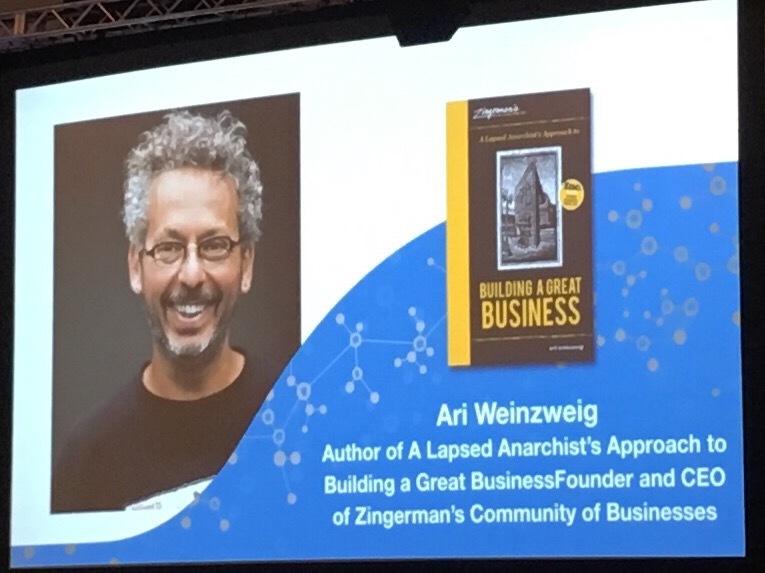 Imagine my surprise this week when Ari Weinzweig of shared the change process they use at Zingerman’s and I immediately used it in my family and started sharing it with clients. I was pre-disposed to like what Ari had to say as I interviewed him for the Purpose Podcast almost two years ago and had a great time. The Zingerman’s change process starts from the idea that every can provide leadership, even the brand new employee. If that new employee (or anyone else) sees a change that could be made to make things better, their supervisor can immediately coach them through this change process and the whole organization gets stronger. Do you want to learn about the process? I recommend you pick a small change you’d like to cause at home, for example, and then follow these steps in real life, not just theory. Write down different stakeholder groups and customize how you might sell the change to them (sterotypically HR will need more people-focused reasons while accounting more numbers-focused reasons, etc). In my example, it’s just Celeste I needed to sell. Depending on how big a deal this change is, you may want to review and re-draft with many different people over a period of time. Get input from content experts. Share the vision widely. He’s got more detail on how to share the vision as well, for example to include a cynic on your team to help create the plan for communicating the change to the cynics in the organization. We’ll cover that in another post. ‹ What do you stand for?